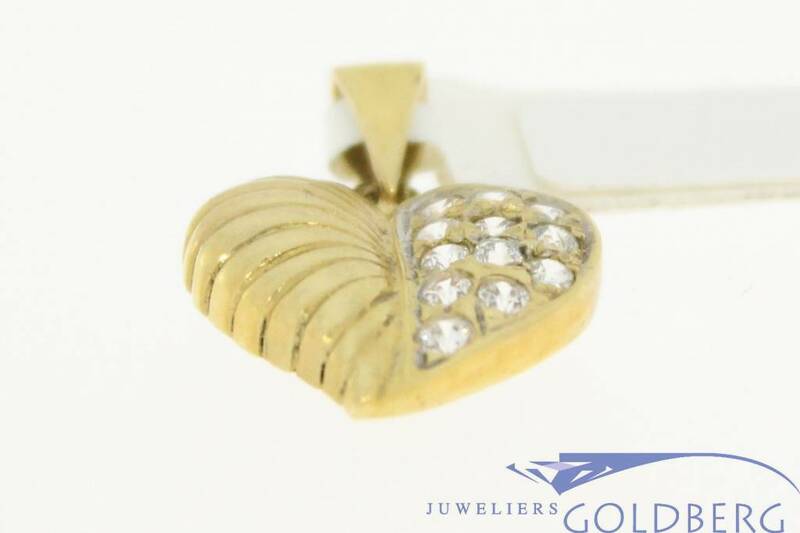 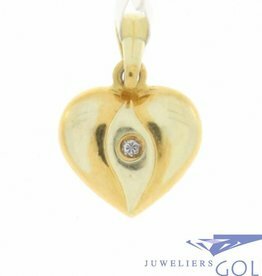 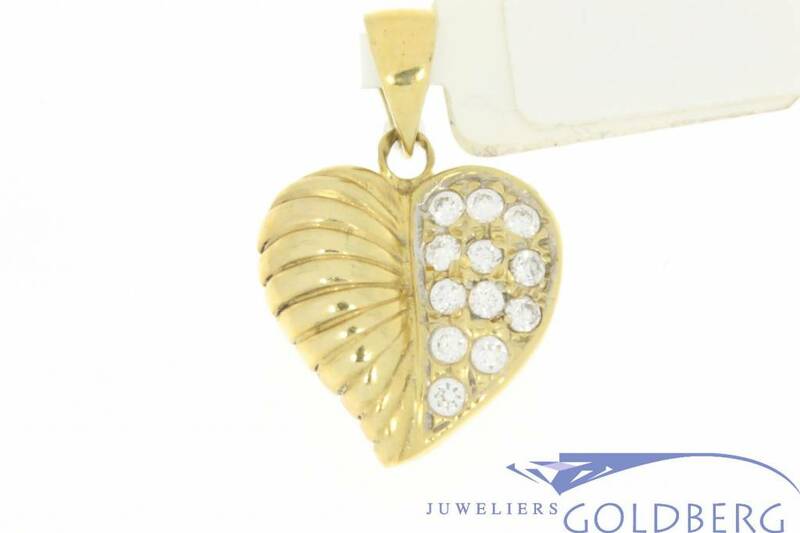 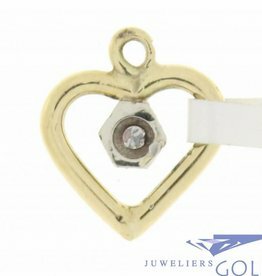 Beautiful and very special 14 carat gold heart-shaped vintage pendant. 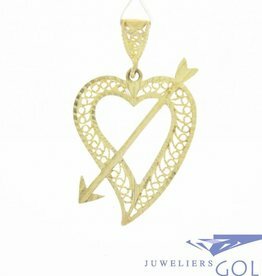 The left side of the heart is edited like a leaf, and is slightly spherical. 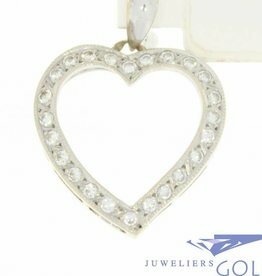 However, the right half is flat and embedded with 12 zirconia. 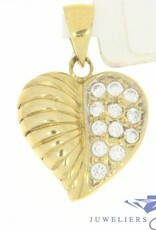 The length of the entire pendant (incl. 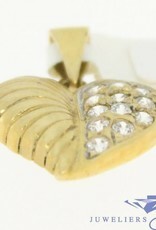 the eye) is 25 mm, the width is 16.2 mm and the weight is 3.5 grams.